Girls in Pakistan face a huge range of barriers to education. 34% of girls are out of school because their parents don’t allow them to attend, 15% because education is too expensive, 13% because their school is too far away, and another 13% because they need to help their family at home, or work so they can earn money for food. At the Zia Ul Ummah Foundation, we understand the importance of girls’ education. That’s why we offer free education to over 30,000 underprivileged children across Pakistan – many of them girls. 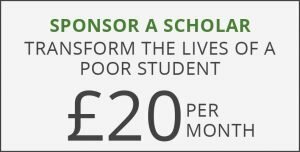 All our schools provide free accommodation and school meals too, which means less girls are out of school because they can’t afford it, and more families send their children to us because of the safe, stable and secure environment we offer. We understand that girls going to school is crucial to the country’s progression. In 1990, we set up the Ghousia Girls College in Bhera city, which offers a five-year course that includes A-levels, a bachelor’s degree and comprehensive Islamic studies. All our courses prepare students for the working world, so they have the chance to realise their potential and choose the life they want to live. We’ve always championed girls’ education in Pakistan, which is why we have a dedicated programme that supports girls at our schools. Many of our female graduates go on to become academics, some set up their own schools, and others come back to work for us as headteachers at our institutes. We’re making a real difference to girls across Pakistan, but it’s only with your continued support that we’ll be able to give them the high-quality education they need. Join us and support girls’ education. In the 1990s, Nosheen Gul Kharal was searching for a school that’d allow her to study Islam andtraditional subjects. Our girl’s college in Bhera city gave her the chance to study both – for free – and within a few years, she’d completed two bachelor’s degrees in Arabic and law. 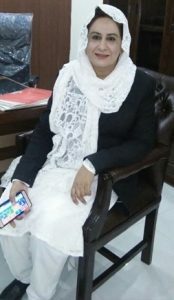 Now, she’s Vice President of the Islamabad BAR Council. Nosheen says our school taught her how to balance her religious and secular duties, as well as giving her the confidence to prosper in male-dominated environments. She strongly recommends young girls attend our schools, and credits much of her success to the foundation we gave her in those early years.